At Scout Boats, we take pride in creating high-quality boats that meet the needs of boaters all across the country. 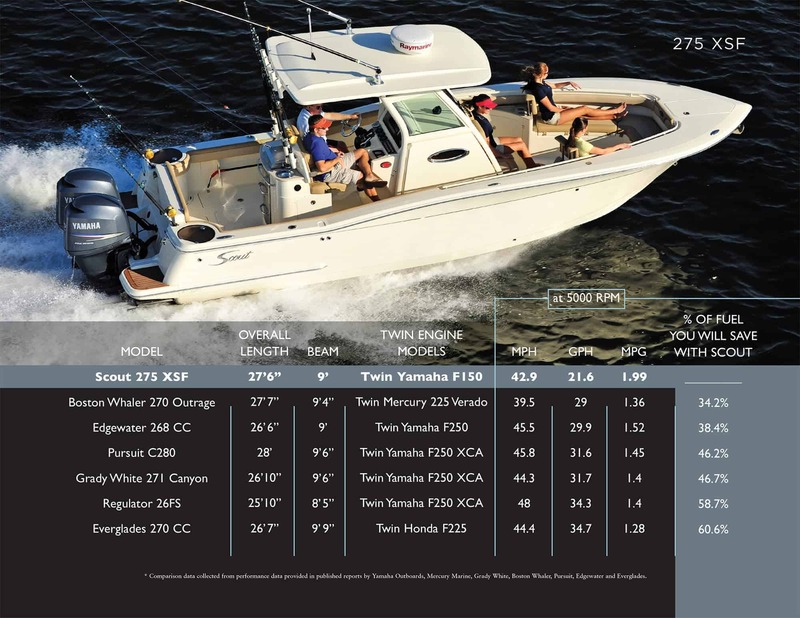 Part of what makes our boats so outstanding is the superior fuel-economy. We put meticulous time and effort into creating a hull that runs smoothly across the water, reducing drag and lifting the overall fuel-efficiency. Just how efficient are our fishing boats, and what does that mean to you, the boat owner? It means less money going into the tank, and more time spent cruising along in your favorite craft. If you are an angler, it also means you can go further in your boat, reaching distant fishing holes that many other boats may not be able to reach.